ATTENTION! SoundScan and Nielsen are expanding the avenues of music sources they are using to determine the top selling songs and albums in the Billboard charts and we have an opportunity to create a buzz for a very deserving artist…Miss Lori Greco. 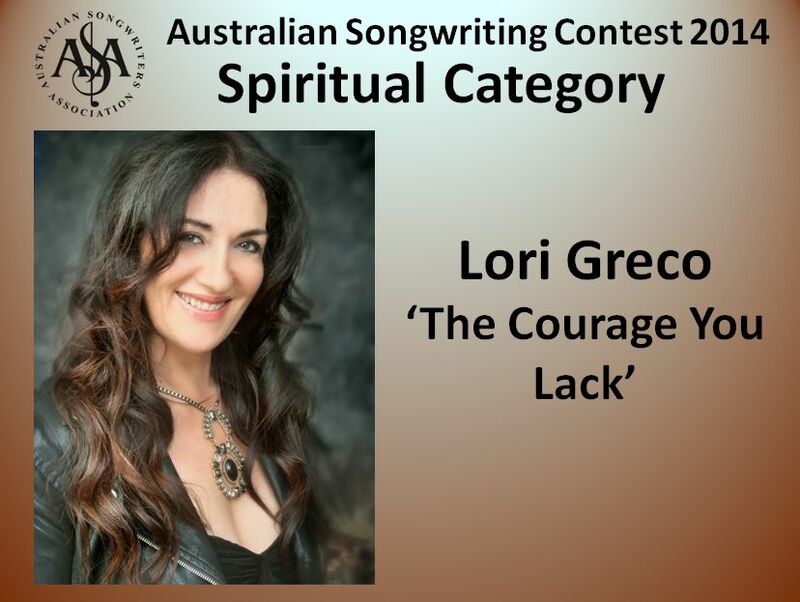 Recently, the Australian Songwriters Association awarded Lori with 1st Place in The Spiritual category for her song, “The Courage You Lack.” I am including the official award video from the ASA award presentation along with a rare appearance of Lori singing this award winning song. Many of you are already Lori’s fans and may already own her album, “No Ordinary Girl” and if you do, “The Courage You Lack” is the 13th and final track on the album. As a proud supporter and Street Team member, I would like to propose that we all purchase the single track of “The Courage You Lack” from Lori’s website this week; because all purchases from her website, will be reported to the Nielsen/SoundScan ratings and maybe, just maybe, if we all purchase this one track as a digital download for a mere .99 cents this week, we might be able to get her on the Billboard top 10 chart for Digitally Downloaded songs. If this happens…”The Courage You Lack” will gain enormous exposure and it could be the flame that ignites the fire for her career. Let’s all band together and invest .99 cents in “The Courage You Lack” this week! There is strength in numbers and I believe in my heart, that we can do this. Please ask your friends to do the same.